Invisalign is the use of a set of aligners that are smooth, virtually invisible and removable and purposely used for straightening the teeth and are personalized or custom-made to a specific client. A virtual 3D plan will be developed to project how your teeth will shift over the course of your Invisalign treatment showing how the final positioning will look like as set by the dentist practitioner. You then be required to change the aligners after several days or weeks and by doing so the aligners will gradually move your teeth towards the projected desired position. • Invisibility: Invisalign are clear which makes the invisible while braces are typically silver, and you can pay extra for the coating of the color. Additionally, you can choose it when you don’t wish everyone to know that you are under dental treatment. • Treatment period: Invisalign treatment takes few months of between six to eight months while brace treatment on average goes for two years. 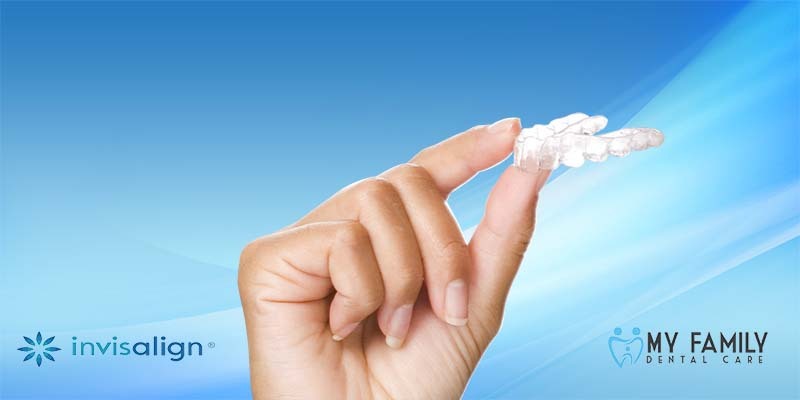 • Easy removal: Unlike the braces, Invisalign can be removed easily. • Comfortability over treatment period: you will not have to worry about the difficulty during the meals because you can temporarily get rid of them, unlike braces which you will have to eat with them and is discomforting especially when eating sticky foods. Invisalign is a modern technique that uses up to date technology such as 3D impressions and X-rays to get the precise image of your teeth as well as the final outlook of your dental structure and is also very comfortable.